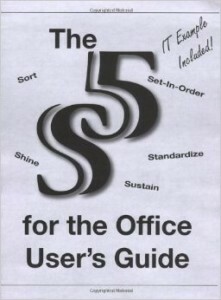 I didn’t know much about this book. I knew that it was written by two Googlers. It was under 200 pages. And the title was intriguing. Sounded great, let’s see how good it is. After reading it I have to say that it’s really good. 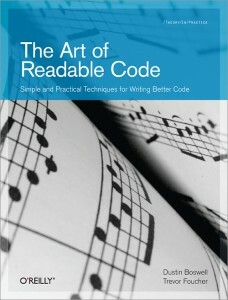 Again, an incredible book for beginners something everybody should read between their first and second year programming. Really well written, no clutter, funny cartoons. Really good book. Code should be written to minimize the time it would take for someone else to understand it. These are the two main mantras in the book. I would even say one mantra. 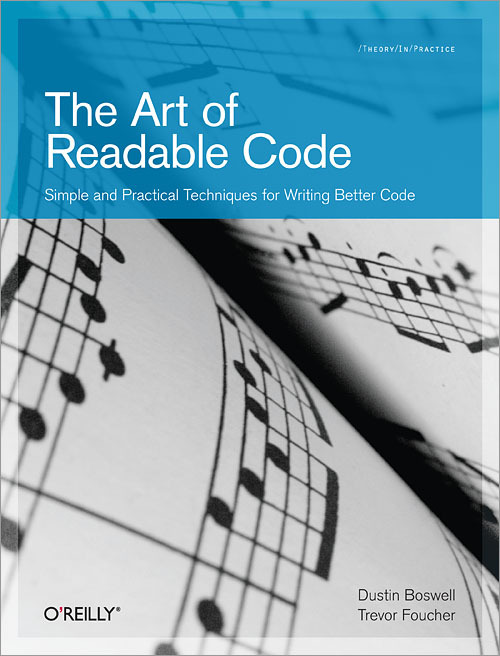 The idea that you write code for some other person to read is great. They also say: “Maybe that person is you in 6 months”. And I agree. I noticed this in the beginning of my ‘career’ (for a lack of a better word). I looked at code I’ve written 6 months before and had problems understanding it. Today, I can look at code I’ve written 3 years ago and have not many problems understanding it. Because English is my second language I often do this while searching for better names. But I think even for native speakers there’s a payoff. I try not to make it too non-obvious, though. Append important information to variable names. e.g. delay_ms, unsafe_user_comment, textfield_utf8, etc. I like this idea and it’s extremely valuable in non-static typed languages. Which makes me think whether you should, for example, define two types of input. Save and Unsafe text. You write all your ‘internal’ function only using save text and therefore have to check your unsafe text you’re getting from the user / input. Love this. If there’s something non-obvious describe it. If you tried a few things describe it. Really good advice. I love when library writers do this. Python has a great implementation which allows you to define examples and tests in the docstring. But nonetheless, something worthwhile. edw519 who said that naming is one of the most undervalued activities in programming. His comments got me started to use clean and consistent naming. I would recommend it to new comers, i.e. with about 2 years of experience. They will probably get the highest payoff. Absolute recommendation! Some say this book made the most millionaires. Some say it made their career. So what it is about? This is probably one of the main points in this book. Creating trends is incredible hard, riding them not so much. All in all, I think it’s an incredible book. It’s truly a manual to make money. That doesn’t mean that you can just grab the book and money is pouring out but the books describes in depth each step in writing copy and explains strategies in detail. Analysis is the art of asking the right questions and letting the problem dictate the right answers. You copy connects the market with the product. Your headline is the first step. a) What is the mass desire that creates this market? b) How much do these people know about the way your product satisfies this desire? c) How many other products have been presented to them before yours? How aware is your prospect? You are echoing your market (emotional, attitude). You are defining them for themselves. The reader has to own the headline: his headline, his problem, his state of mind. You’re not selling the product, you are selling the ad. Your goal is that they keep on reading to that they can get through each awareness phase. The young Lincoln, poring over borrowed school-books far into the night – seeking in the dim light of his log fire the transforming light of knowledge – eager to grow – eager to do . . . here is an example which has inspired the man who strives against the odds of circumstances to make his place in the world. To-night, in cities and towns and villages . . . thousands of men will drop their daily labors to fight, beneath the lamp, the battle that Lincoln fought. . .
Up from the mines, down from the masts of ships . . . from all the places where men work, they will go home and take up their books because they yearn to grow, because they seek higher training, greater skill, more responsibility. . . Some of them are men who work in one field whereas their talents and desires are in another. Some . 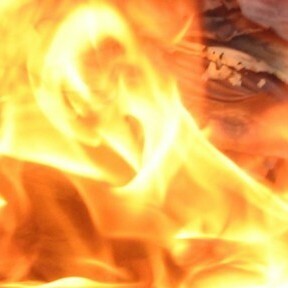 . . are halted in their progress because they do not understand the higher principles of their business or profession. Some left school in boyhood because poverty made it necessary. . .
Fifty years ago these men . . . would have had no place to turn for the courses of study and for the personal guidance that they need. Thirty years ago there was founded a school to help them – a school created for their needs and circumstances – a school that goes to them no matter where they are – a school . . . Created in response to a need, the International Correspondence Schools have developed their scope and usefulness to the growth of that need . . .
How many products have been there before you? A man will not visualize future disasters occurring to himself, but he is perfectly capable of visualizing, and buying preventative from, the image of such future problems affecting others around him. April 2009 to September 2011 was my first absent period of tech. In this time I spent most of my time with economics and politics. I want to make up the leeway by reading good articles which I missed back then. I decided to use hacker news as my source in the hope that most good articles were posted here. This is a beautiful post which shows how important randomization is in cryptography. Jerry didn’t seem to care. I was confused. I was showing him technology that extracted the maximum value from search traffic, and he didn’t care? I couldn’t tell whether I was explaining it badly, or he was just very poker faced. I remember telling David Filo in late 1998 or early 1999 that Yahoo should buy Google, because I and most of the other programmers in the company were using it instead of Yahoo for search. He told me that it wasn’t worth worrying about. Search was only 6% of our traffic, and we were growing at 10% a month. It wasn’t worth doing better. But they had the most opaque obstacle in the world between them and the truth: money. As long as customers were writing big checks for banner ads, it was hard to take search seriously. This is a great insight. Some call it the golden cage. You feel so good that you don’t care about possible threats anymore. That’s why Yahoo as a company has never had a sharply defined identity. The worst consequence of trying to be a media company was that they didn’t take programming seriously enough. Microsoft (back in the day), Google, and Facebook have all had hacker-centric cultures. But Yahoo treated programming as a commodity. At Yahoo, user-facing software was controlled by product managers and designers. The job of programmers was just to take the work of the product managers and designers the final step, by translating it into code. In the software business, you can’t afford not to have a hacker-centric culture. Your usefulness as a developer is only indirectly related to your ability to code. There are bona fide geniuses working in poverty and obscurity, there are utterly mediocre programmers doing amazingly useful and important work. Github is overflowing with brilliant, painstaking solutions to problems that just don’t matter. Your most important skill as a developer is choosing what to work on. It doesn’t matter how lousy a programmer you are, you can still transform an industry by simple merit of being the first person to seriously write software for it. Don’t spend good years of your life writing the next big social network or yet another bloody blogging engine. Don’t be That Guy. Nifty trick. It could be especially interesting in combination to longer articles. I talked with Ward Cunningham once about this – any good community helps you to grow, but after a time you outgrow it. Perhaps they should be like a book – you read them, and then after that you dip into them for a bit, then less often, and eventually you don’t pick them up again. I experienced that myself quite some times. You just outgrow communities over time. While some are great for beginners you’ll get annoyed after some time not progressing and then you start switching your community. But there are also many valueless comments that nevertheless get upvotes, and there’s definitely a more snarky feel. I’ve felt myself being dragged into that at times and had to pull myself back. That didn’t used to happen. See Reddit or every publicity in general. Upvotes need to be weighed by karma, and karma of exemplary members of the community needs to be seeded by you (and other exemplary members). This way cliques of mean/non-insightful users can upvote each other to their heart’s content without making any appreciable difference in their karma value. I found this an interesting idea. And wondered if you can rank comments by something like Pagerank. Would be interesting to implement and test that. Your only chance, really, is to build something which can spread like a virus after being announced on a col-de-sac party. Something utterly addictive, unusual and truly amazing. A great self-selling, self-propagating viral-on-steroids idea (assuming you can code) is your only chance to succeed. If you want to make it big fast I agree. My soundboard is an example of that. It blew up and now it gets around 160K visits per month. I didn’t advertise it but just hit a nerve. There was a trend, there was demand and I supplied it. 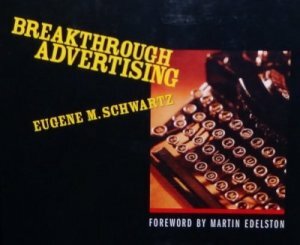 In Breakthrough Advertising Eugene Schwartz wrote about a similar thing – about riding waves. It’s a great book I have my notes somewhere lying around. However, it isn’t the only way to success. You seem to have been terribly misled. Only very rarely do products sell themselves. 99% of the time, the product is largely incidental to the sales process. Your idea doesn’t matter one jot, what matters is how well you can connect to customers and really sell to them. And here’s the other side. Hard work but it can pay off. Interesting article about using perceptual hashes for image recognition. I love the simpleness of the average hash algorithm. The author also talks about pHash which was used to crack Google’s captcha. Programmers are most effective when they avoid writing code. They may realize the problem they’re being asked to solve doesn’t need to be solved, that the client doesn’t actually want what they’re asking for. They may know where to find reusable or re-editable code that solves their problem. They may cheat. But just when they are being their most productive, nobody says “Wow! You were just 100x more productive than if you’d done this the hard way. You deserve a raise.” At best they say “Good idea!” and go on. Good insight. That’s something that can’t be seen normally because there’s only one outcome. I wonder how you can visualize that added value. Pokemon developer Game Freak seems to have had it pretty rough prior to hitting the big time with Pokemon. The company has existed since 1989 and they put out a number of relatively unknown games before Pokemon in ’96. Pokemon wasn’t a strong seller at the beginning either. Harmonix (creators of Guitar Hero, which they sold, and Rock Band) has a similar story. They created a handful of games over a decade or so, all music based, that never really caught on. When they released Guitar Hero and a few karaoke games, they did a little better than breaking even, and with the release of Guitar Hero 2 sales exploded. Yup, it can take quite long.